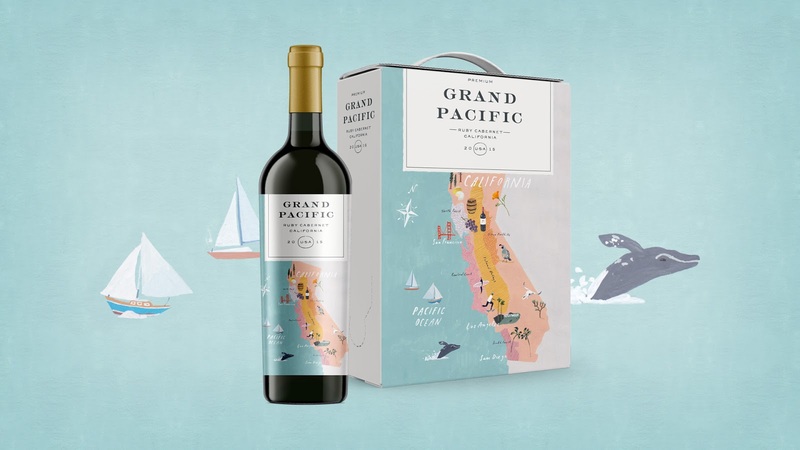 With sales of 3 liter bag-in-a-box and lightweight, recyclable glass bottles accounting for over 45% of wine sales in Norway, the Rutherford Wine Company saw an opportunity to export their sustainably produced wines to a market in an altogether different part of the world. 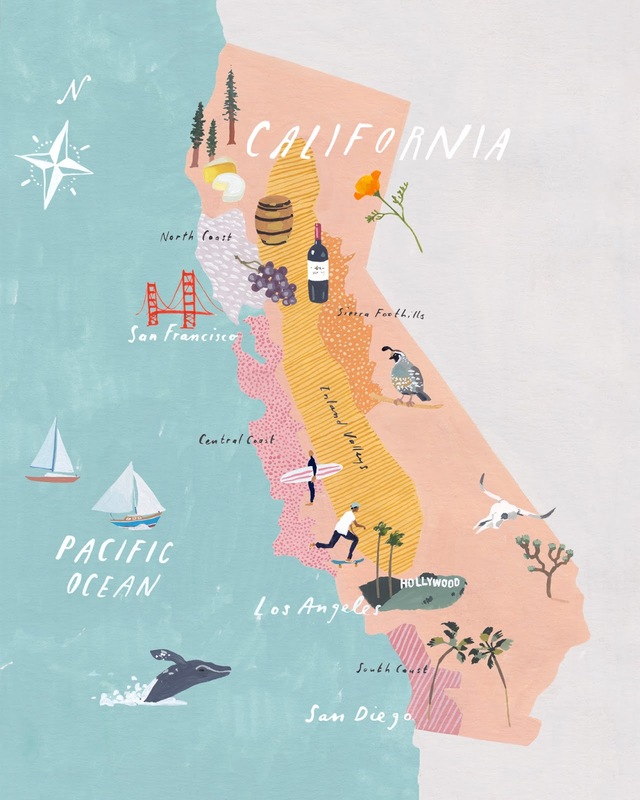 However, while Norwegians love California, they don’t necessarily share that enthusiasm with Californian wines. 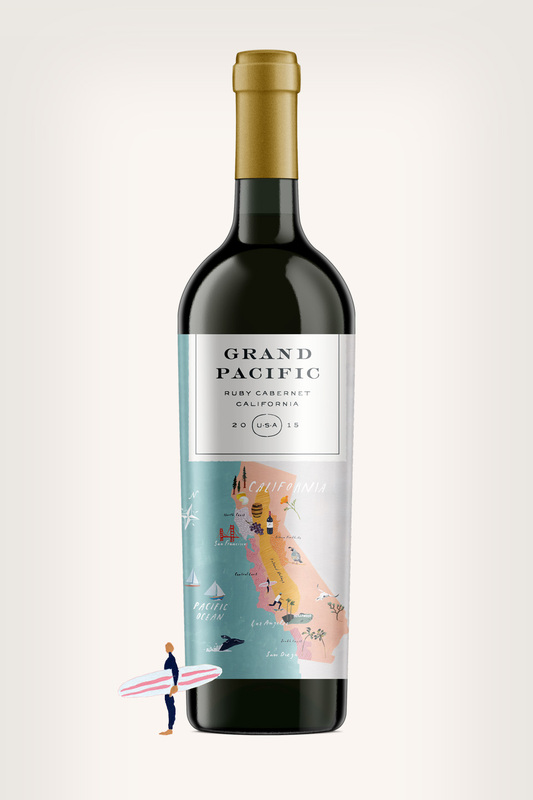 Keeping this in mind for Grand Pacific, we developed a package that brings to life the bold and pioneering essence of the state. Desiring an outsider’s perspective, we commissioned Katrin Coetzer of South Africa to create watercolor illustrations that not only depicts California, but aspects of its eclectic culture as well. Katrin’s works have graced the pages of various international publications such as Kinfolk Magazine and the Wall Street Journal, and we felt that her dreamlike and whimsical style was perfect to convey California in a new way to a new audience.